Bruce is Head of School and Professor of Public Policy at the School of Sociology and Social Policy. 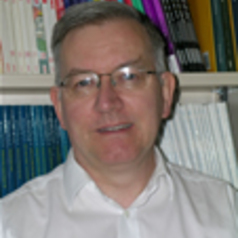 He has over 30 years experience of applied public and social research. Before joining the School in February 2006, he was a social and policy researcher in local government and at the Universities of Birmingham, Loughborough and Salford. In recent years the majority of his research has been for government departments, notably the Department for Work and Pensions. He has both qualitative and quantitative skills as well as extensive experience of leading research projects and consortia. Professor Stafford has also been engaged in international comparative research on the coverage of social security, social activation and workfare. Professor Stafford's research interests are policy evaluation and social security (notably, welfare to work, the delivery of welfare services and disability issues). In recent years he has conducted several studies commissioned by the Department for Work and Pensions, but he has also carried out research for the States of Jersey, the Joseph Rowntree Foundation, the European Commission and other sponsors. He has been involved with several employment-related research and evaluation studies. He led the international consortium evaluating the New Deal for Disabled People. In addition, he has undertaken a review of the factors affecting the employment retention of disabled people, research on employers' and service providers' responses to the Disability Discrimination Act 1995 and a review of the incapacity benefit system in the States of Jersey. Furthermore, he has undertaken research on the labour market experiences of young men, workfare, a wage supplement (Earnings Top-Up) and studies of the delivery of employment services to jobseekers.